Works for Vesna Pavlović‘s Intersections installation at the Phillips, Illuminated Archive, have just arrived at the museum. 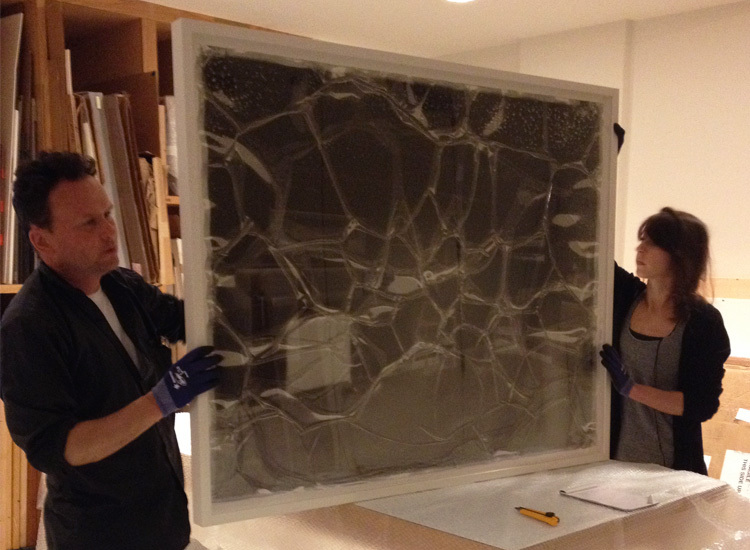 Here’s a first look at Untitled (Swiss Peasant art exhibition, 1957.4) (2014) as Phillips preparators open it up after arrival. See this and the rest of the works on the walls (and in the staircase!) starting May 22, and don’t miss Pavlović’s talk in the galleries Thursday evening. 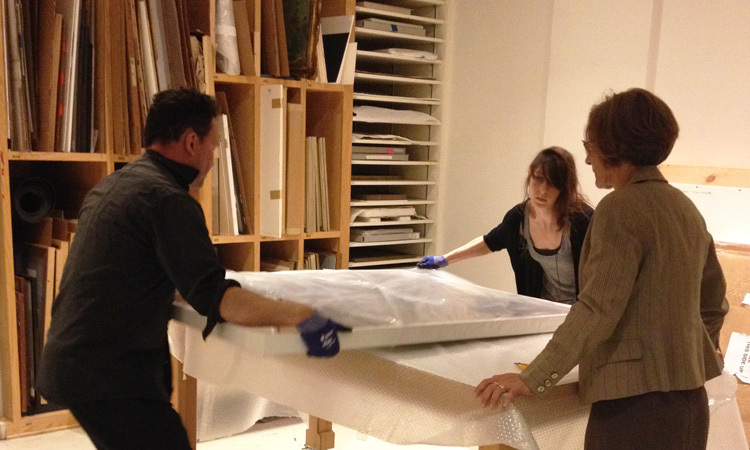 Preparators put on gloves to handle the final layer of unwrapping as Senior Curator of Modern and Contemporary Art Vesela Sretenovic looks on. 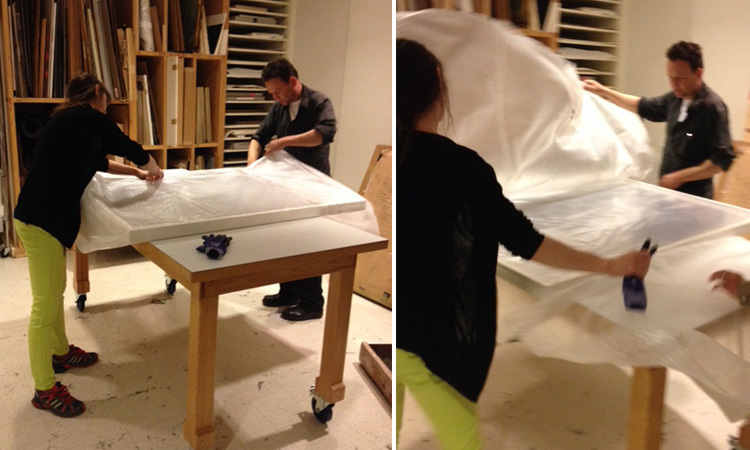 Vesna Pavlovic’s work Untitled (Swiss Peasant art exhibition, 1957.4) is unwrapped and ready for the gallery walls. This entry was posted in Intersections and tagged archival material, contemporary art, Intersections, library and archives, photo negatives. Bookmark the permalink.